In order to get the most productivity on the road, it’s important to bring along your notebook and its accessories. There are miles of aisles of accessories in every electronics store and mass merchandiser, and gigabytes of gadgets at online retailers. However, even the most Herculean among us can carry only so much weight, and even the largest notebook bag has just so much space. Of course, I always get behind the guy at the airport with the largest notebook bag at the airport. The laptop bag is larger than my checked Samsonite pilot case, and is busting at the seams. It takes him forever to clear security as they have to run it through the scanner three times and open everything up to ID everything Believe me, if there was a bomb in there, this guy would never even be able to get to it among all the other stuff. And also, he puts it above me filling up the entire overhead compartment over our heads on the Boeing 767. To him, please read this article, and figure out what you can leave home! Both myself, and his spine, will be grateful. With the back to school season upon us, it is even more relevant to look at notebook accessories. Most college students have a notebook rather than a desktop. They tote their computers from class to dorm to library to back home- you get the idea. While these accessories would also apply to any mobile professional, it was written with maximizing productivity for college students. This article is a mix of both newly reviewed items, and some that have been previously reviewed. Be prepared to click some links to gain the knowledge to fill up your notebook bag with the best stuff. Speaking of notebook bags, check out Live Digitally’s recent series of notebook bag reviews to find the best one for you. All of the products mentioned are Live Digitally Approved so fill your new notebook bag with confidence. Our first two items for our notebook bag are the two most essential starting items: the notebook itself, and the all important mouse. There are many offerings in both categories. Be sure to try both out before purchasing. Comfort is crucial here. The cornerstone of your computer travel bag is the notebook itself. I am very pleased with Averatec’s 3250HX notebook, and use it daily in my journalism. 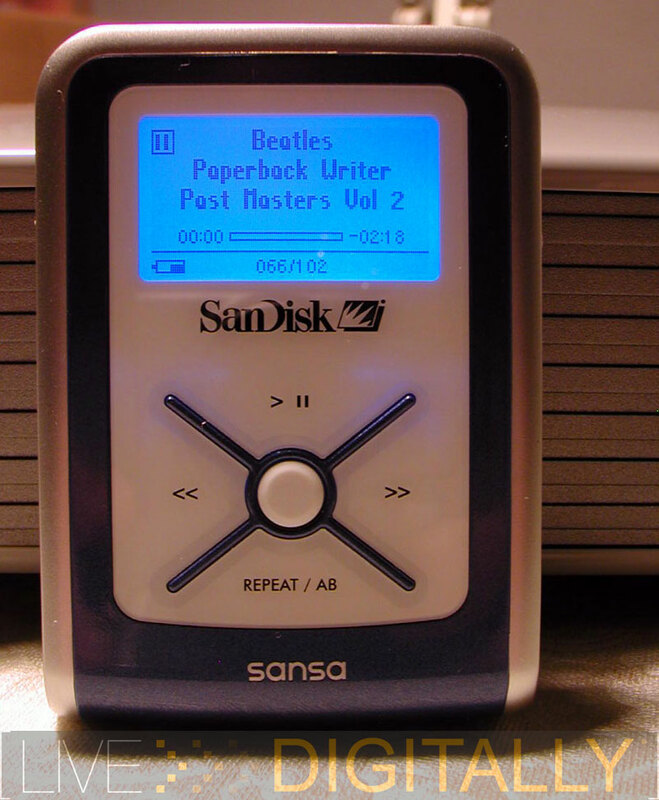 It is perfectly balanced at a svelte 4.2 pounds, yet still packs an 80 GB hard drive, built in wireless, and a dual layer capable optical DVD drive. Those specs put many of our desktops from a year or two ago to shame. It has since been replaced by the similar 3270 model with a mobile Sempron 2800+ chip. When choosing your notebook, pay careful attention to the weight. Ten pounds may not sound like much when the salesperson says it, but when on the go all day it can really weigh you down. Unless you need a dedicated graphics card, or FireWire support, this laptop will be more than enough for the vast majority of students and other users. The bargain price is an unexpected bonus as well and will leave some extra money for more accessories to round out the package. 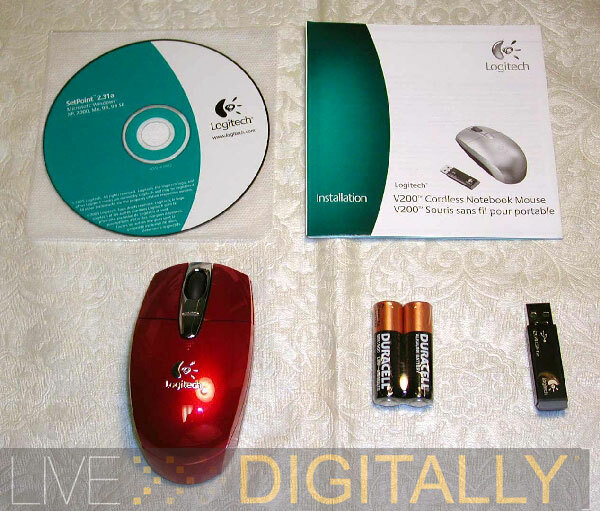 The winner of our 1st wireless optical notebook roundup this spring was Logitech’s V500 notebook mouse. It won the coveted “LD Approved” distinction, and was outstanding in many respects. Unfortunately, it had the premium price to match. What’s a broke college student to do? 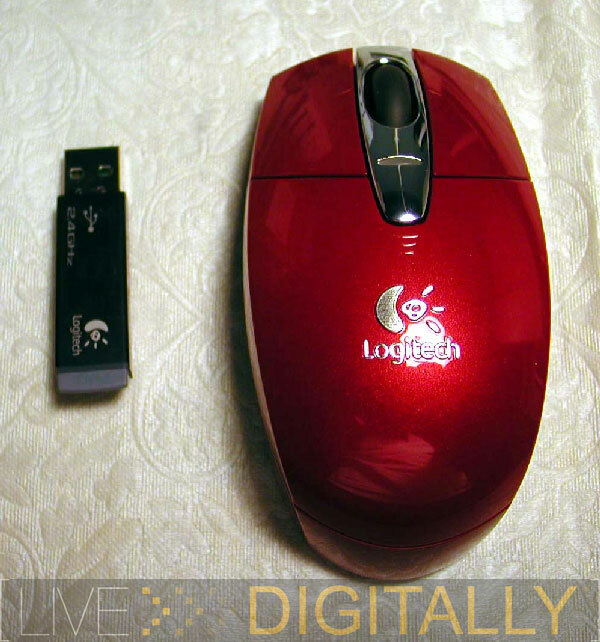 Logitech’s latest entry is the V200 optical notebook mouse which debuted last month. It retains many of the key features of its big brother, the V500, while also being half the price! The V200 is available in both black, and a metallic maroon. Its body is a little larger than some other notebook mice, but it is very comfortable, and could be used as a desktop mouse for users with smaller hands such as children and teens. The mouse is configured with the standard left and right buttons, and a centered four way scroll wheel. The 2.4 GHz transceiver snaps into the bottom of the unit to make a tidy package like the V500. This is not as neat as fitting inside, but it does keep the pieces together. With the transceiver on the bottom, the mouse is powered off. The small transceiver fits neatly in a USB port, and is small enough to not block neighboring ports. The V200 claims a 30 foot range; I was able to verify that up until 10 feet, after that I couldn’t see the pointer anymore on the screen! 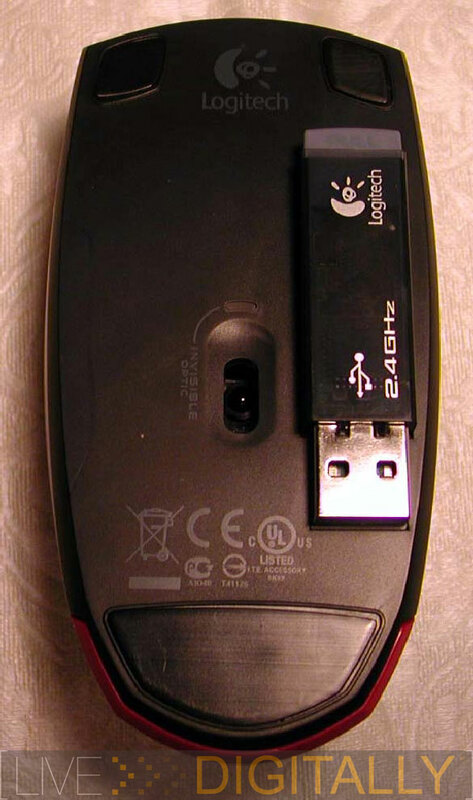 The 2.4 GHz transceiver, although on a shared frequency with Bluetooth, and WiFi, is proprietary to Logitech, and does not work with any other devices. In testing, it did not interfere with Bluetooth devices, or WiFi networking at any time in this crowded part of the radio spectrum. 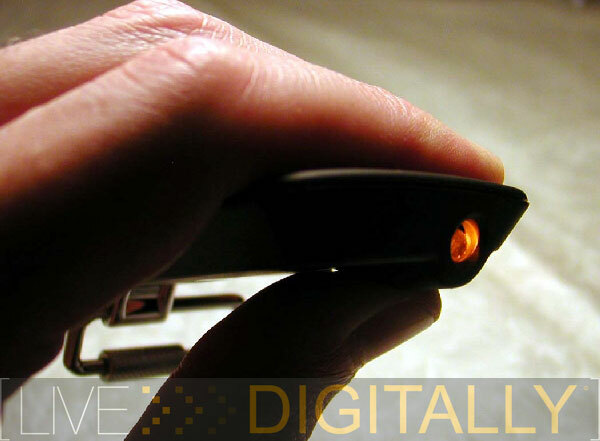 It also uses “Invisible Optic” tracking technology to accurately move on the surface. It’s kind of weird because there is no red LED on the bottom; instead it uses an infrared LED (science fact: infrared light is invisible to our eyes). How do you know it is on? There is a green LED next to the optical eye. The V200 tracked on every surface accurately with its 800 dpi engine, except a piece of clear Lucite. The V200 shouldn’t hang its head in shame though; the V500 also from Logitech is the only mouse I have tested thus far that is able to track on the clear plastic surface (I don’t know anyone who mouse-es on Lucite anyway except for these types of tests) and it features a 1000 dpi optical sensor. What’s just as bad as having no mouse as all? Having a wireless mouse with dead batteries. 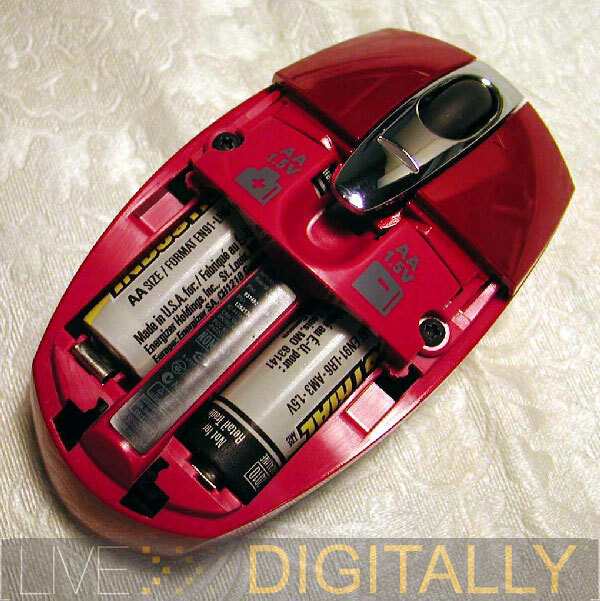 This mouse uses standard AA batteries for power and not the pricier AAA’s that many other mice use. The new stand out feature on the V200 is a one year battery life. This is great for a busy college student who only needs to change their batteries every other semester! To the best of my knowledge, this is the only mouse that claims such a long battery life. What if you only have one battery? Believe it or not, the V200 will perform with just one battery installed (I couldn’t believe it, but it was true in testing). When powered up each time, the mouse has an LED that glows green for “good batteries” or red for “dying batteries” for about 10 seconds. 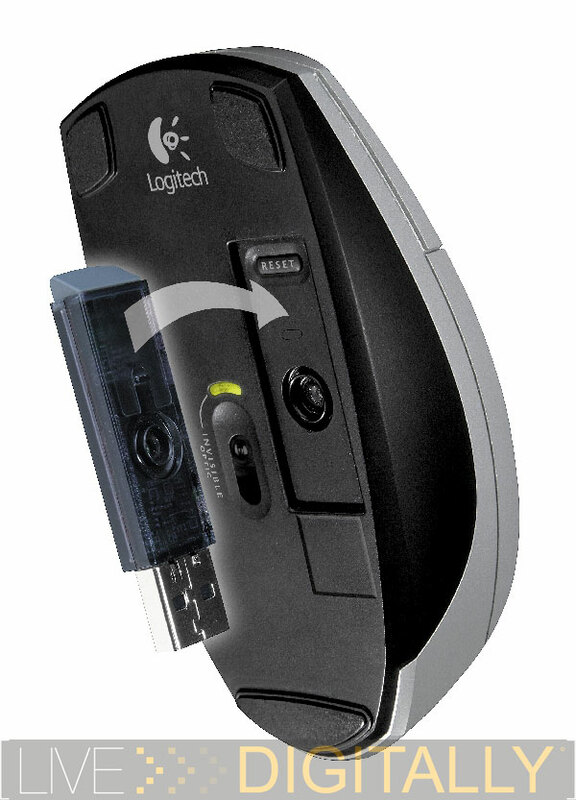 The V200 includes Logitech’s SetPoint software. 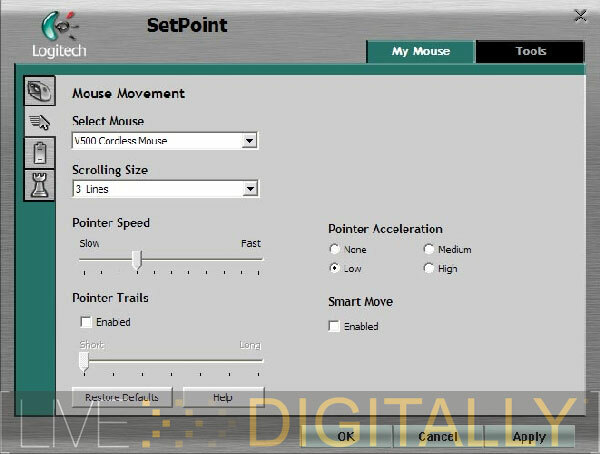 While not needed for operations, it enables horizontal scrolling, and enables customization of many mouse functions including scrolling size, pointer trails, and pointer speed. When on the go, these two accessories will keep the notebook, as well as the rest of the stuff, juiced up smoothly, and safely. When on the go, you’ll be plugging into a bunch of different outlets to keep your equipment charged. You owe it to your gear to take out some simple insurance. A surge suppressor is a mandatory accessory on the road. I use a Belkin portable surge suppressor. It is rated for 688 Joules; I wouldn’t buy anything rated for less than 500 Joules (if you can’t find the rating on the package, look elsewhere as it’s likely subpar). It also has protection for the dial up modem line which can also zap your components. 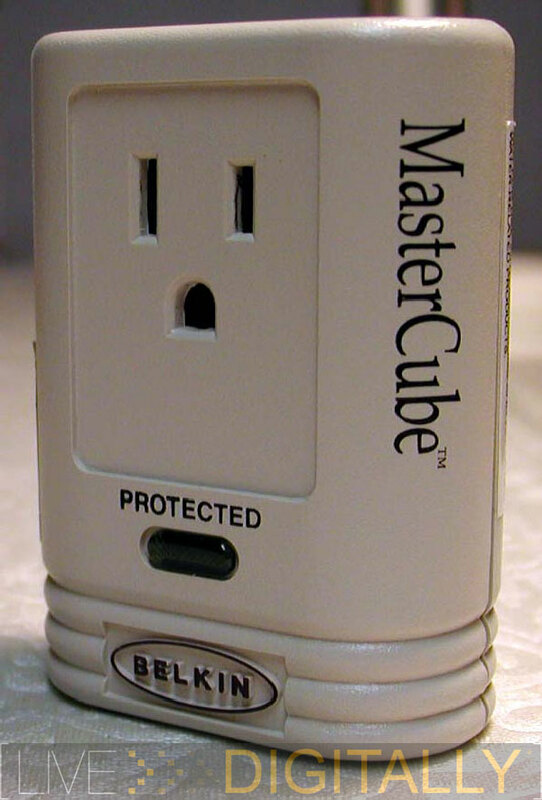 Don’t leave home without a surge suppressor; you may never know it doing its job, and that’s a very good thing. Having data locked only on your notebook’s hard drive is rather restricting. Data needs to be able to flow, and these devices will enable just that. From working with flash memory cards, accessing MP3’s, transferring data between computers and even mobile back up, these accessories will make it happen. 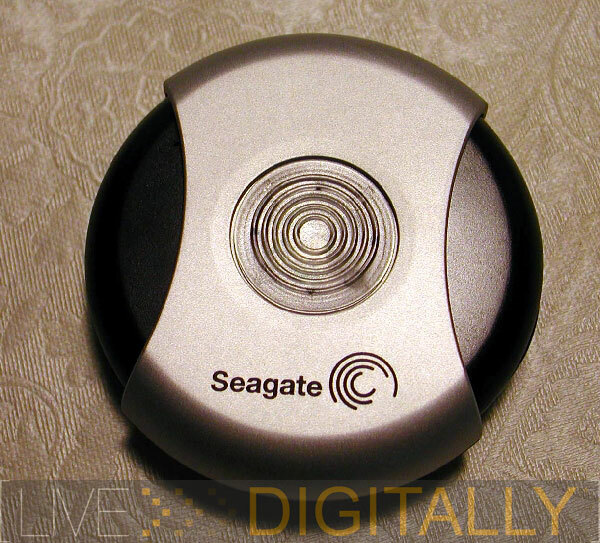 Straddling the line between USB flash drive, and USB external hard drive is the Pocket Drive from Seagate. Who cares what you classify it as; the point is that it has a mammoth capacity, and plenty of speed. For a quick file transfer between computers, this is the fastest and easiest option out there. Another one of our “LD Approved” award winning products, it should definitely find a home in your bag. This is a key tool for backing up important files on the road, and with 5 GB available (more than any USB flash drive currently on the market), there’ll be room to do so. With this award winning drive on board, if you lose the data, you only have yourself and your laziness to blame. It should be every student’s constant companion across the campus. After all, who wants to stay up all night redoing their term paper after a computer crash? See the full Live Digitally review here. It’s becoming hard to remember what the internet was like before wireless access covered just about everywhere on the campus. College campuses have become a wireless oasis. While the built in wireless capability of your notebook is fairly robust, these accessories will help to maximize the wireless experience. Before you unpack your notebook and all its accessories and make “base camp” it’s real nice to know that you’ll be in range of a wireless hotspot. One solution is to move around like a jumping bean playing musical chairs- not cool. A more elegant answer is the WiFi Locator Plus. This keychain gadget will show the presence, and strength of a WiFi, as well as a Bluetooth signal. A few simple checks will tell you where the signal is strongest on the quad, and therefore, the best spot to unpack at. Just don’t let your secret out or else the whole class will be there with you. 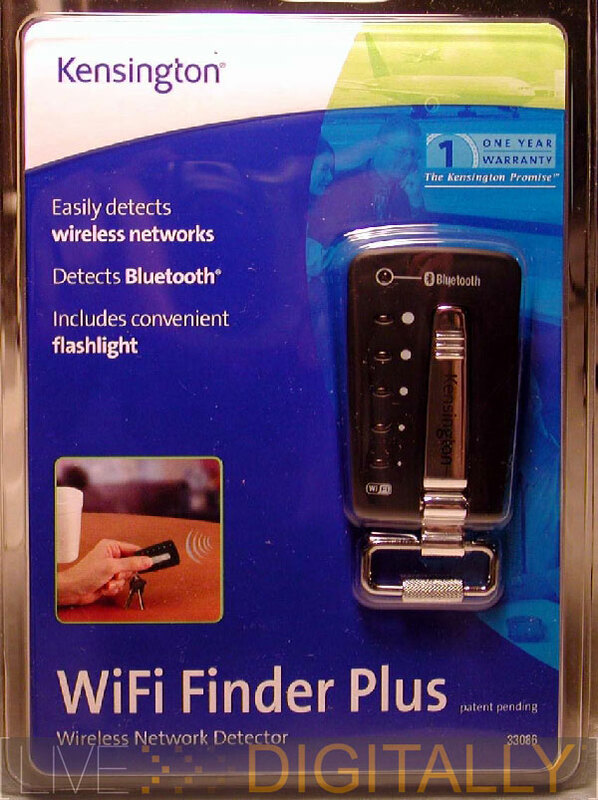 The WiFi Finder Plus will locate “b” and “g” networks, as well as a Bluetooth signal. 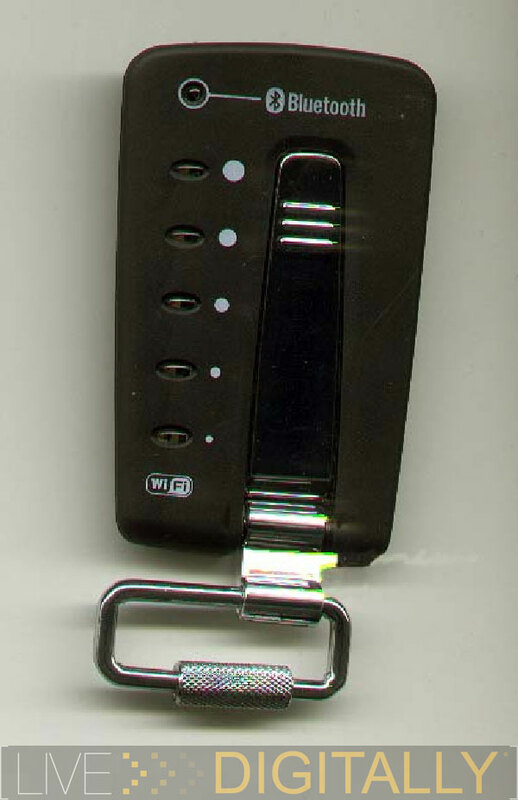 It is powered by 2 of the larger watch style batteries (CR 2016). 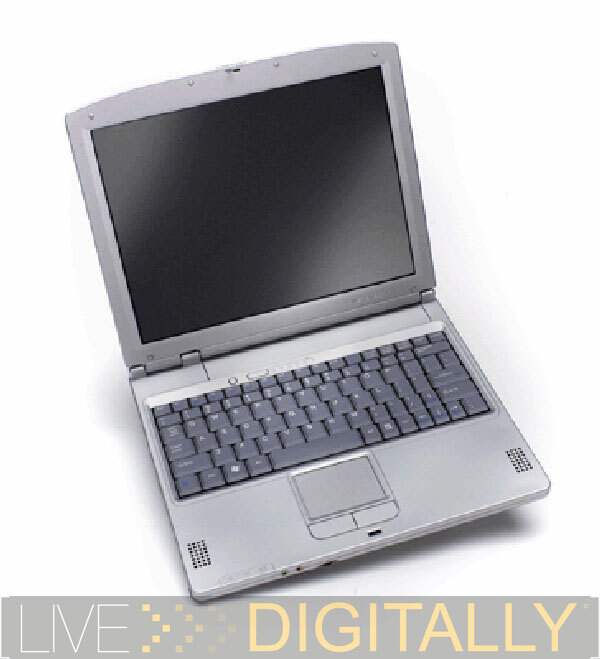 It has a 5 level strength meter that is designed to correspond to the bars in wireless notebook software, and in practice it did. 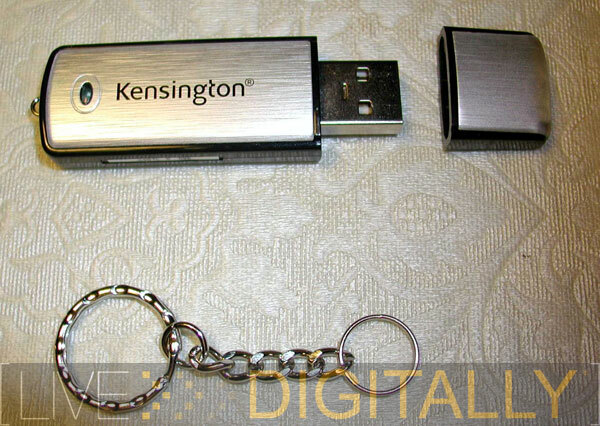 The attached key ring can also be secured to a laptop bag strap. Finally, the yellow LED flashlight on the bottom provides ample light to find a keyhole in the dark. 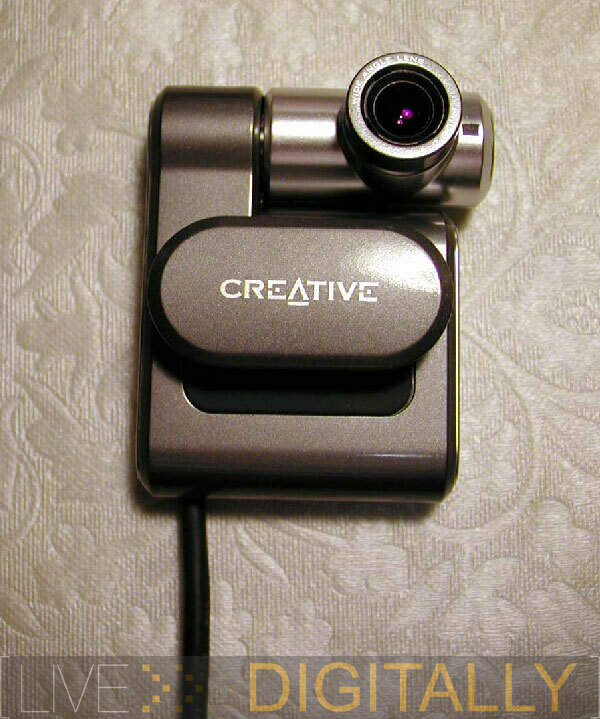 The entire small device is constructed out of a rubberized black plastic, and chrome. One annoying quirk is that the WiFi Finder Plus, when near a Bluetooth network, and a WiFi network, will only light up for the Bluetooth network. It would be more preferable for it to detect both networks. Everyone knows that you need to connect a desktop to the internet with some type of firewall in between. Thankfully, the firewall is built into the router and therefore the desktop is protected. Unfortunately, whenever you are using your notebook with its wireless connection, you are leaving yourself open to being hacked. 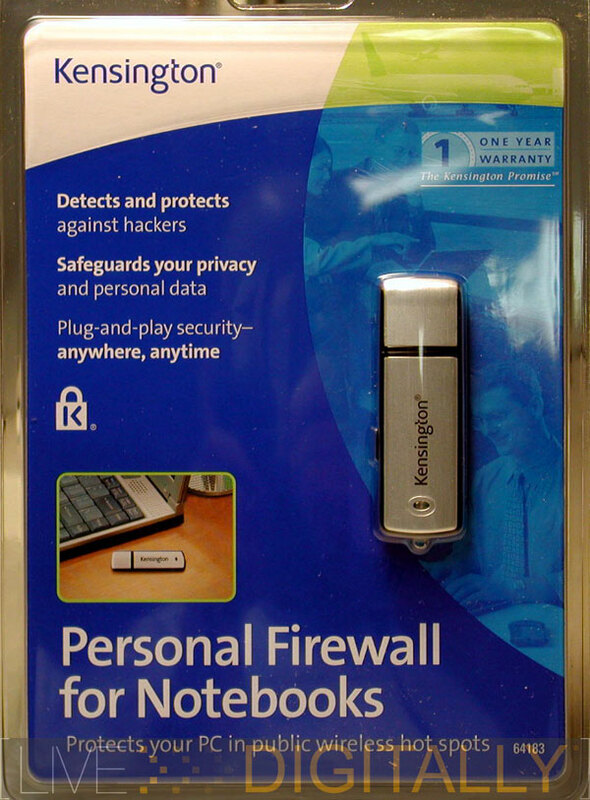 Kensington’s Personal Firewall for Notebooks provides protection to the notebook user on a wireless connection to the internet. At home, many users use encryption to secure their network. At a public hotspot, there is no encryption, leaving the user even more exposed. College students need this type of protection. The installation is simple enough even for the seven year bachelor’s degree students. The device looks like a USB thumb drive. Just plug the device in a running Windows XP computer via a free USB port. The software automatically installs, and with a restart, the computer is protected. Looking at the screen shot, you’ll see that there are adjustable settings as one size does not fit all. Both internet security and network security can be adjusted between high, low and custom settings. These can be developed into profiles for home, office and remote. The traffic light in the right upper corner can be toggled between green (no filters), yellow (filtered), and red (no traffic). In addition, web sites, or network addresses can be placed on the trusted list to facilitate traffic, or blocked all together. 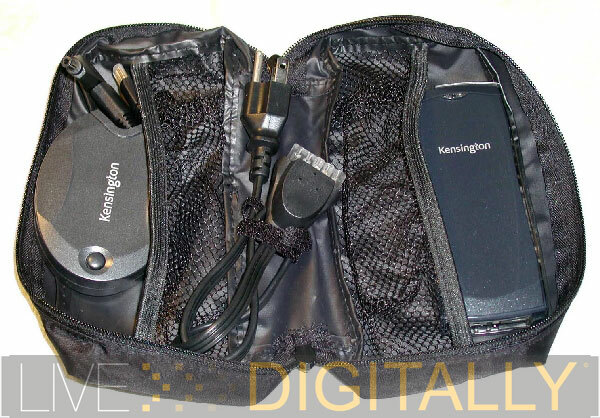 The Kensington Personal Firewall also keeps a firewall log, and locks down any free ports to thwart any would be hackers. With a solution this easy to install and use, there’s really no excuse to not keep you protected at all times. With wireless everywhere, and our notebook connected so often, it’s important to not be an easy target, and Kensington’s Personal Firewall is inexpensive protection. 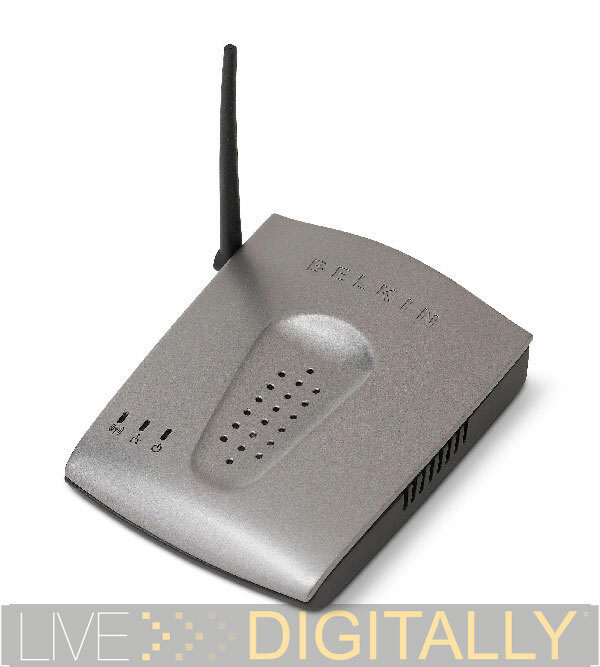 NOTE: This product was not available for testing from Belkin as of press time. Due to the timeliness of our back to school theme, I released this article without this highly anticipated product. Check back in late September for full testing of this product which I am very excited about reviewing. So you’re in the dorm room (or hotel room), and have a wired internet connection. This compact router will turn that wired internet into a wireless connection. The advantage of Belkin’s Wireless G Travel Router is that its compact form factor is easy to pack in a notebook bag, and ideal for cramped dorm rooms. 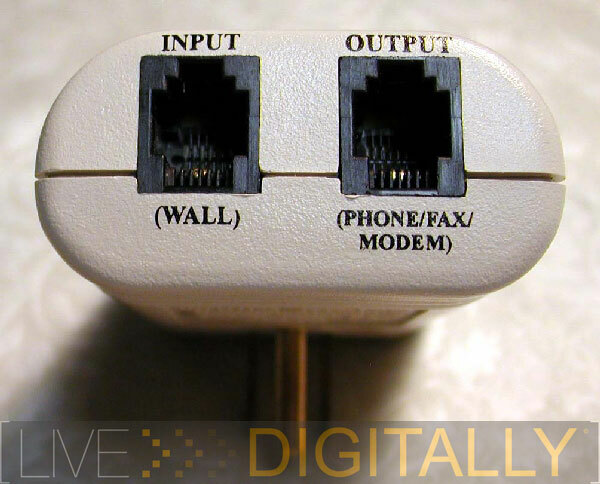 A bonus feature is not only is it a router, but it can also connect to a computer without wireless and function as a USB wireless connector. 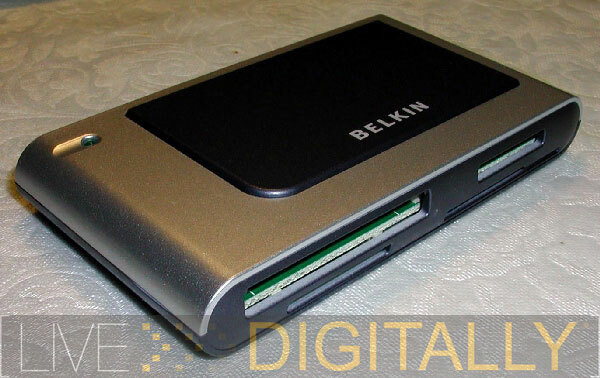 Therefore, it can serve as a backup for a notebook’s wireless connection. I’m hoping that because it’s powered, it has longer range than my notebook’s built in wireless; we’ll see in testing if that hypothesis is correct. Well, there you have it: the entire Live Digitally guide to what you need to pack in your notebook bag. These eleven products are the essential gear to achieving the most productivity on the college campus, or wherever the road of life takes you. With this gear on board, you’ll hardly long for your desktop at home. Happy studies! « Google chat to launch tomorrow?